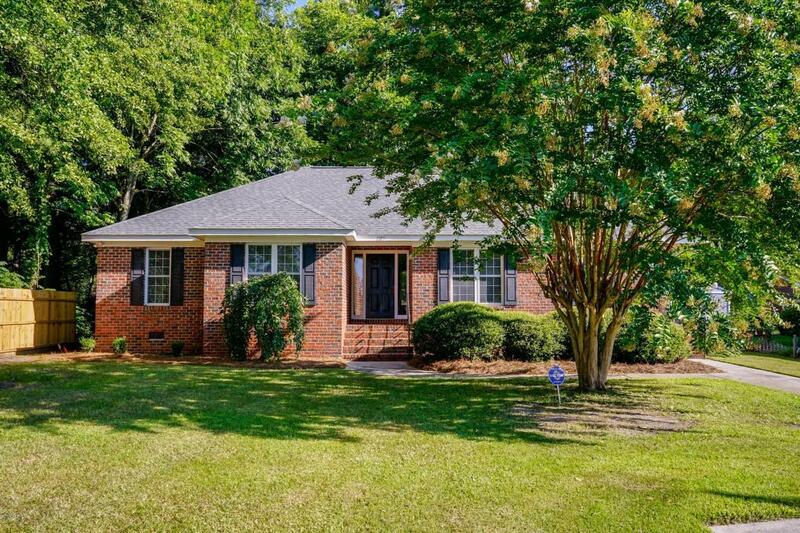 Adorable updated brick ranch, super convenient to everything! Open floorplan with bright kitchen, spacious greatrm, dining rm and breakfast nook. New updates include roof & fence (2018), Trane HVAC (2016), carpet, fixtures & paint (2017). Plantation blinds and security system. Established landscaping. Rear yard fenced in for privacy, covered concrete porch & brick paver patio. Refrigerator, washer & dryer convey & sealed crawlspace. This one wont last long!